Singer Burnaboy, definitely has no chill for haters. 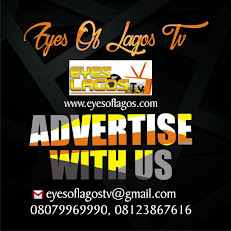 The ‘Pree Me‘ crooner had it in for a Kenyan OAP, known as Alex Mose, who had taken to twitter to vent saying he vowed never to play Davido’s music on his radio show and will be adding Burnaboy’s. 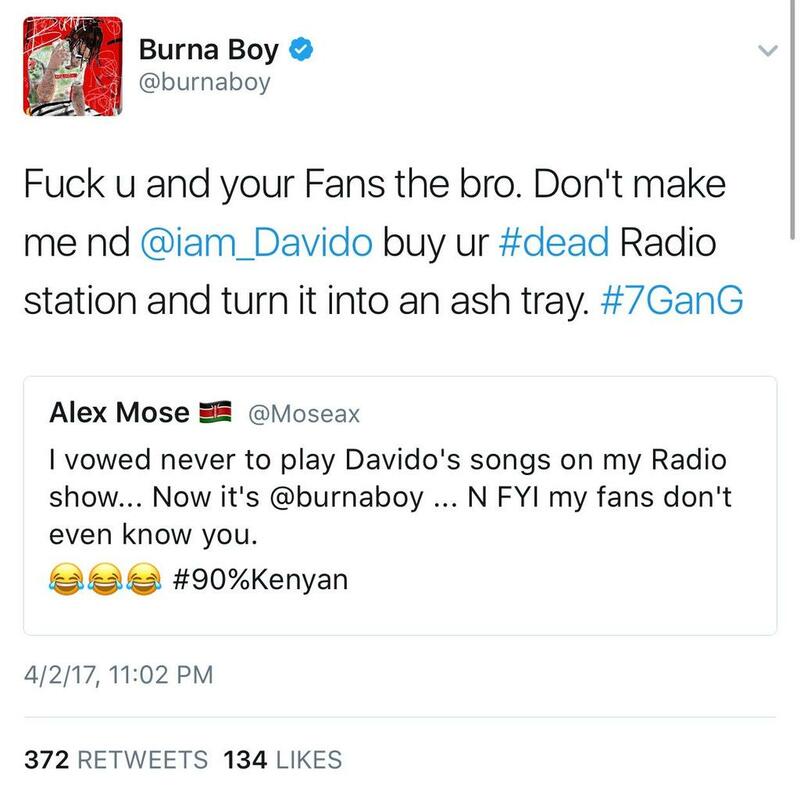 Not one to take such insult, Burnaboy replied him saying he could go to hell, adding that the Kenyan OAP best not provoke him to a level where he and Davido, would be forced to buy the radio station and turn it into an ashtray.